It has been nearly three years since the visionary and inimitable Helen Toomer took over the role of Director at PULSE Contemporary Art Fair, now entering its 12th year. Toomer has since steered the fair toward a tighter more intimate event teeming with incredible talent, making it an absolute must-see among the world’s top art fairs. Prior to being appointed Director at PULSE in early 2014, Toomer founded the contemporary gallery ‘toomer labzda’ on New York’s Lower East Side and ran it from 2011-2013 and was the Director of the Collective Design Fair. I had the privilege of speaking with Toomer about PULSE and artREAL’s partnership with her on the upcoming event ‘Leaning in – Olympics of the Art World’ held on October 6th, 2016 In New York City. ALI EBRAHIMI: First off, I wanted to thank you for taking this opportunity to speak with me about PULSE and your partnership with artREAL on ‘Leaning in – Olympics of the Art World’ on Thursday Oct 6th. For those of our readers who may not be familiar with PULSE Contemporary Art Fair, can you please fill us in? 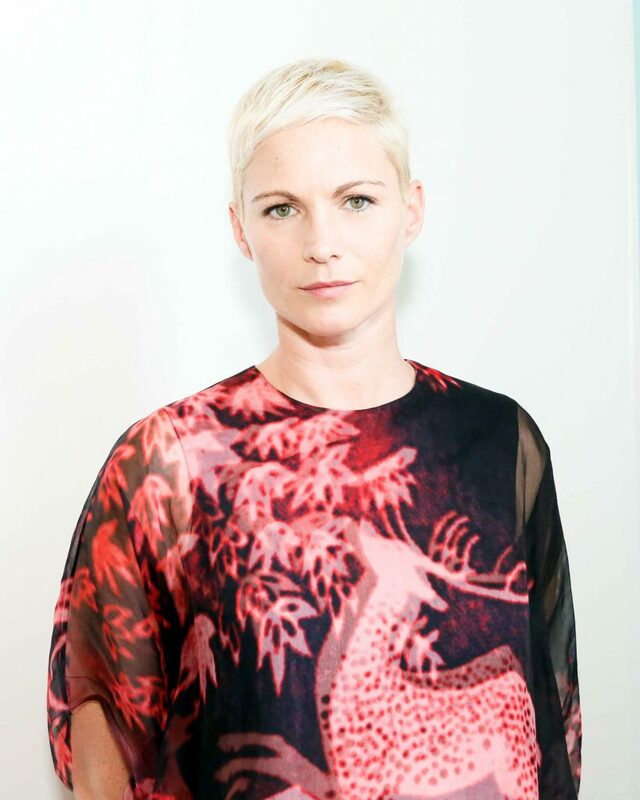 HELEN TOOMER: Founded in 2005, PULSE Contemporary Art Fair is an established part of the annual art calendar and is recognized for providing its international community of emerging and established galleries with a dynamic platform for connecting with a global audience. PULSE offers visitors an engaging environment in which to discover and collect the most compelling contemporary art being produced today. ALI EBRAHIMI: PULSE has seen a significant [positive] shift since you took on the role of Director in early 2014. You moved the location of the Miami fair to the much more desirable (and accessible) Indian Beach Park, and edited down the galleries and artists resulting in a much more cohesive and poignant affair. What else are you planning for PULSE in your role as Director? HELEN TOOMER: As Director, I get to craft the overall vision of the fair by working with our exhibiting galleries and their artists and also through additional programming at the fair and off site, such as our event on October 6th. ALI EBRAHIMI: I absolutely love PULSE Miami Beach and make a point to attend it every time I’m in Miami for Art Basel. Why do you think New Yorkers interested in art should consider attending PULSE Miami Beach? HELEN TOOMER: There’s such a wealth of new artworks to see and a great community of artists, galleries, curators, press and creatives to connect with – it’s well worth a visit. Also – who doesn’t love going to Miami in December?! ALI EBRAHIMI: I’m very excited about artREAL’s partnership with PULSE and our upcoming event ‘Leaning in – Olympics of the Art World’ on Thursday Oct 6th. Tell us more about this event. HELEN TOOMER: I’m excited to lead a discussion with some of the art world’s rising stars about leadership, mentoring and the current climate for diversity in the industry. Guests are invited to enjoy a cocktail and then settle in to hear the perspectives of Sarah Cascone, Associate Editor of artnet; Justine Ludwig, Director of Exhibitions and Senior Curator at Dallas Contemporary; Bahia Ramos, Arts Program Director of the Knight Foundation and Marina Garcia-Vasquez, the Editor-in-Chief of The Creators Project. ALI EBRAHIMI: There is an interesting overlap with art and real estate in New York City: my real estate clients often buy and collect art, and art collectors look for homes that lend themselves to art display. What has been the most interesting or memorable art collector’s home you have been in in New York? HELEN TOOMER: I’ve been to many collectors homes in New York and all over the world – what makes them memorable is their commitment to acquiring the works, supporting the artists and also living with the work. It’s always a joy to see how a collection comes together over the years and how it’s reflective of the collectors style and personality. ALI EBRAHIMI: What is your favorite neighborhood in New York City? HELEN TOOMER: Impossible to pick! ALI EBRAHIMI: Favorite piece of public art? HELEN TOOMER: There’s too many to pick from! I love the artists The Public Art Fund and the Art Production Fund bring together. Also Madison Square Park and The Highline have an amazing roster of projects. ALI EBRAHIMI: Favorite piece in your art collection? HELEN TOOMER: As you can tell – I’m not into picking favorites! I love every single piece in my collection as every one of them has a special story or meaning behind them and it’s an amazing gift to be able to live with so many fantastic works. ALI EBRAHIMI: Who are some New York artists to watch for right now? HELEN TOOMER: There are so many to choose from!!! Here are a few that I really like in no particular order – Angel Otero, Zöe Buckman, Leah Dixon, Joe Brittain, Jerry Blackman, Liz Nielson, Anne Spalter, Erica Prince, Langdon Graves, Rebecca Morgan – the list goes on!! ALI EBRAHIMI: Finally.. must-see exhibition in New York right now? For more information on PULSE, visit the fair’s website.